Lesser known cuisines tend to retain their identity more than those cuisines that we (Americans) have adopted. When cuisines are ‘adopted’ into our, or anyone else’s culture, we tend to modify it. We change it into a hybrid. Chinese food becomes American – Chinese food. Italian becomes American – Italian. And so on. But the cuisines that have avoided the mainstream tend to stay authentic. If you were to walk into an Indonesian restaurant, your food would most likely be very authentic. Why? Because we haven’t adopted Indonesian food into our everyday palates. Here in Los Angeles, trendy restaurants open and close all the time, and one trend that never seems to grow old is South American fusion. Peru/Japanese. Brazilian/Thai. And then there’s Argentinean. A cuisine unto its own. 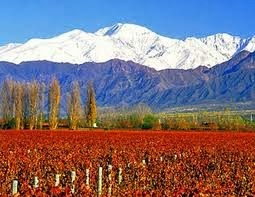 When people think of Argentinean, immediately thoughts of wonderful grilled meat, full bodied wines and food of the earth come to mind. Yucca, potatoes, quinoa.. And rightfully so, REAL Argentinean food is a marvel to behold. It’s truly food of terrior (food from the earth); simple ingredients stand out. And blow us away. Chimichurri is an essential part of any Argentinean dinner, and with its vibrant and bright flavors, has adopted itself very well into American cuisine. Grilled steak or chicken slathered with chimichurri immediately conjures thoughts of perfectly seasoned food, perfectly cooked food, and wonderful flavors. It lies halfway between a sauce and a condiment, and is a great gateway to Argentinean cuisine. In a food processor, add 1/2 the parsley, 1/2 the cilantro, half the oregano and the olive oil. Blend until well incorporated. Transfer to a mixing bowl. Add all other ingredients EXCEPT the lime juice, vinegar and salt. Mix well. Let sit covered in the refrigerator over night. Just prior to serving, add the lime juice, vinegar and salt and mix well. Taste and adjust seasoning with salt and vinegar only if necessary. The flavor should be bright and vibrant. Spoon over fresh grilled meats or chicken.